For booking enquiries and to get a quote for your wedding or event, please fill out the form below. Please find a list below of our most frequently asked questions. 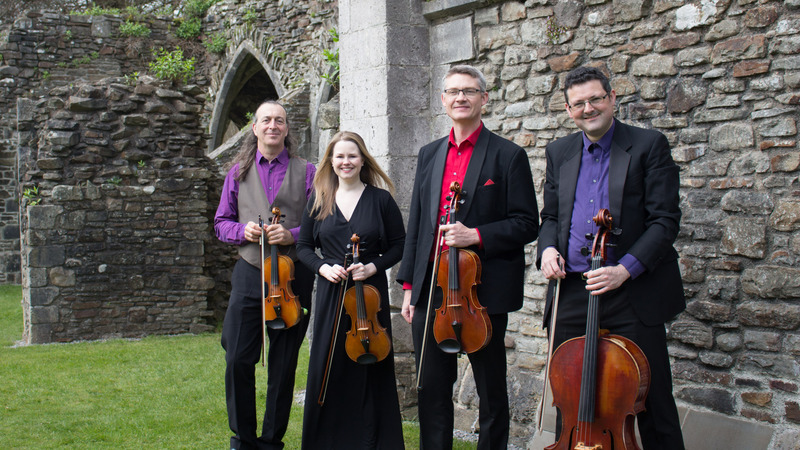 The Arianne String Quartet mainly covers Wales and the South West, but we are available to travel anywhere within the UK. 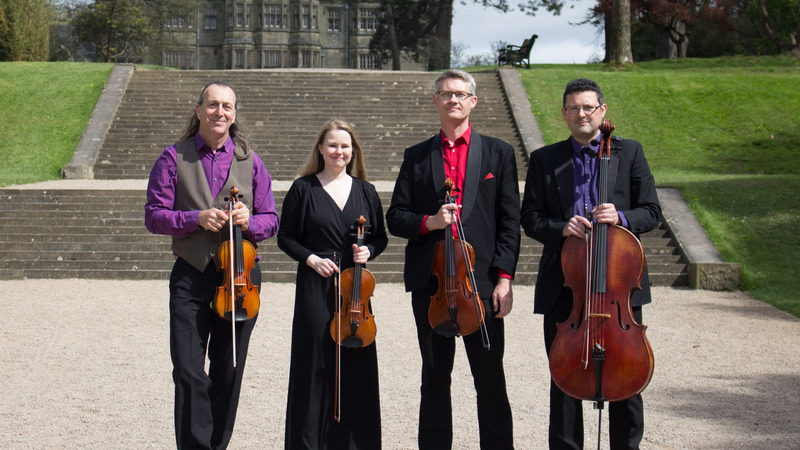 What is the difference between the string quartet and the string duo? The string quartet comprises of two violins, viola and cello, offering the greatest possibilities in terms of repertoire and volume. Our string duo consists of a violin and cello, and with a more intimate sound is ideal for smaller venues or budgets. What do the musicians require on the day? 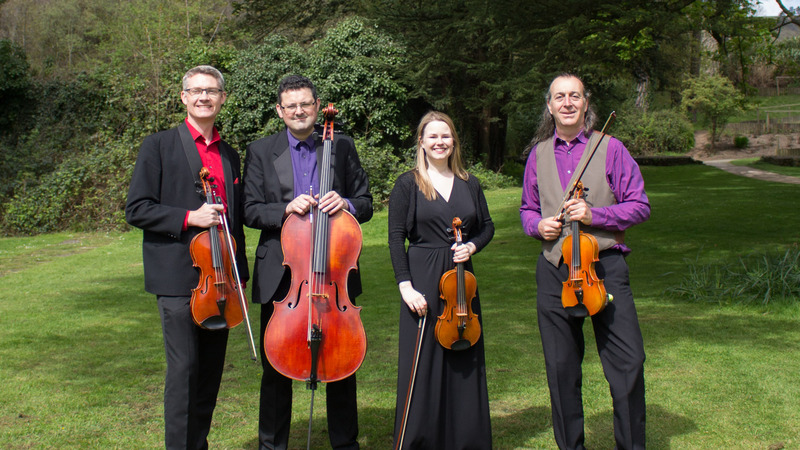 A string quartet requires around 3m X 2m of space, and four chairs with no arms arranged in a semicircle. We kindly ask you to ensure there is ample lighting in your venue to help the performers read the music easily. For bookings of two hours or more, soft drinks, tea and coffee are always very welcome. For all-day events or weddings (i.e. ceremony, drinks reception and wedding breakfast), light snacks/sandwiches are greatly appreciated to help the musicians play their best. We will happily perform outdoors in dry weather, so long as a gazebo or other cover is provided. A string quartet or duo cannot play in full sunlight as it will get too hot for the musicians and their delicate string instruments. Please make alternative indoor arrangements in case of drizzle or strong wind. Can I request a song that is not on your playlist? Yes, we will always endeavour to play any music which has special meaning to you. Some songs work better for string quartet or duo than others; we will advise on this, and suggest alternatives where necessary. There is a small fee for creating new musical arrangements, with a minimum of one month’s notice required. Are your prices inclusive of travel? Our prices include travel within the Swansea, Cardiff and Newport areas. Travel costs will be added to venues further afield. How do I hire the Arianne String Quartet? Please contact us to find out our availability and receive a quotation for your event. Your date will be reserved upon payment of a £100 non-refundable deposit. The full fee must be paid up to fourteen days prior to the occasion. We currently accept payment via cheque or bank transfer. Please contact us for more information.